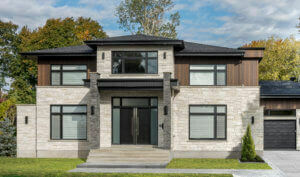 The being said, it can be a little difficult choosing the right masonry product for your home. Consider the architectural style of your home and of course, your personal preferences in order to make your choice. Do you prefer a product with a lot of texture or little to none? Are you looking for something to match a modern style, or something more traditional? Do you like grey tones or prefer the ligher whites and beiges? These are all good questions to ask yourself when beginning your search for the right stone siding for your home. 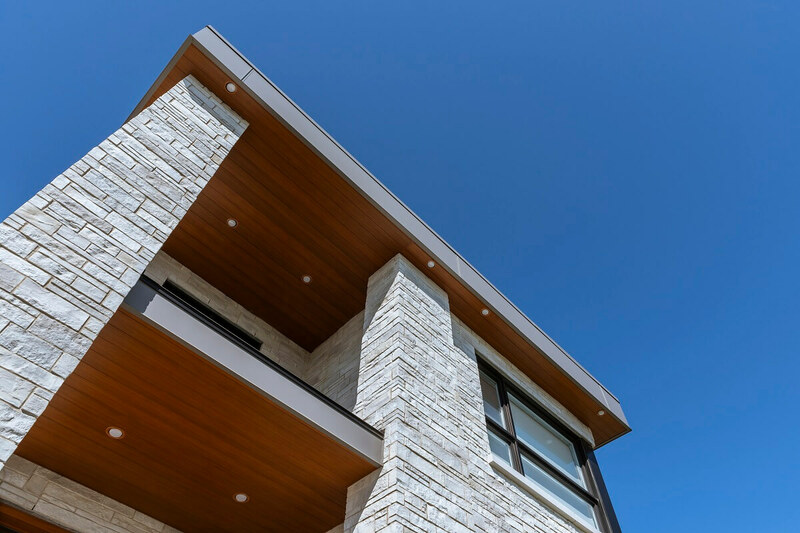 Discover some of our inspirations to help you in your search for the perfect stone siding. Lugano – The Lugano stone is often used for a traditional, castle-style home. Special tip : Use this stone on a modern architecture to add a contemporary touch to the look of your home. 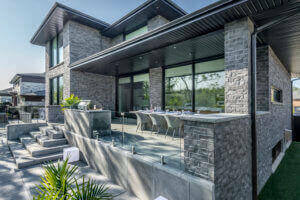 Lorado stone – The Lorado stone was created as the ultimate modern stone siding. As a result, it has long, thin, lightly textured pieces, which are perfect for today’s architectural style. 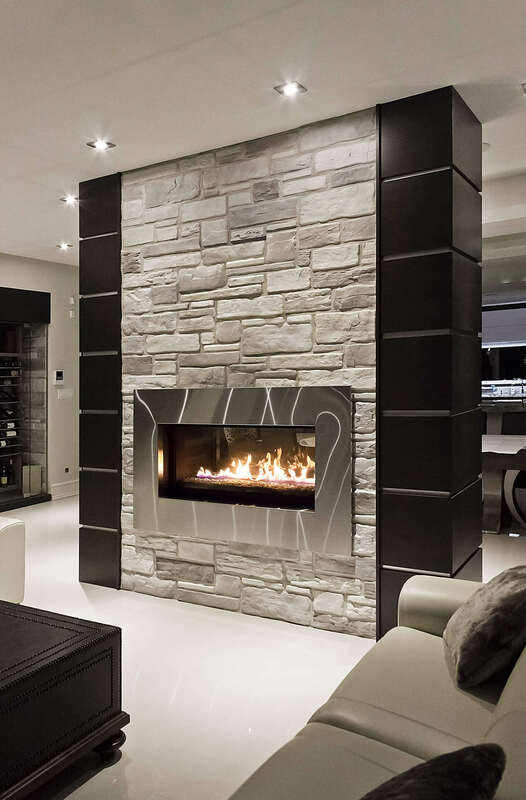 Special tip : Use wood panelling insertions for an extra modern touch to compliment the stone. 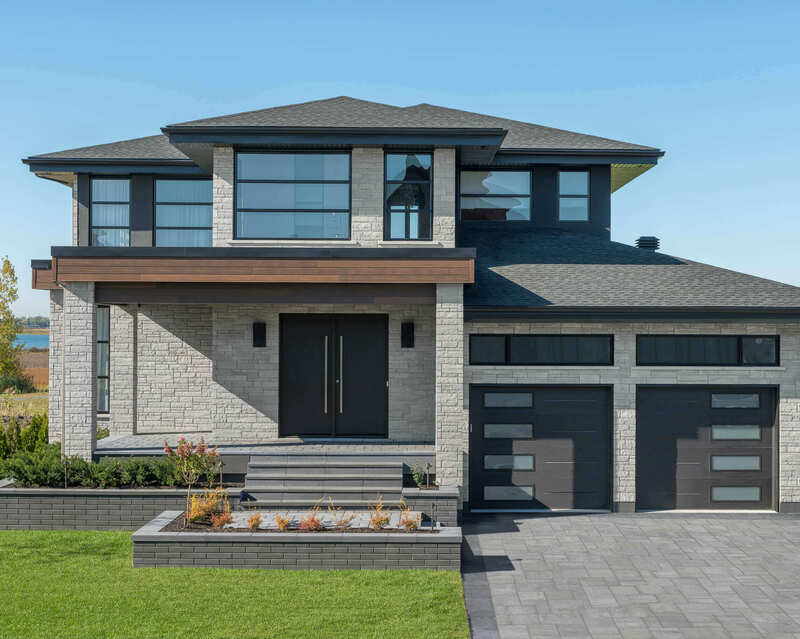 A a modern home with the Lorado stone in Charcoal, and a wood panelling insertion. 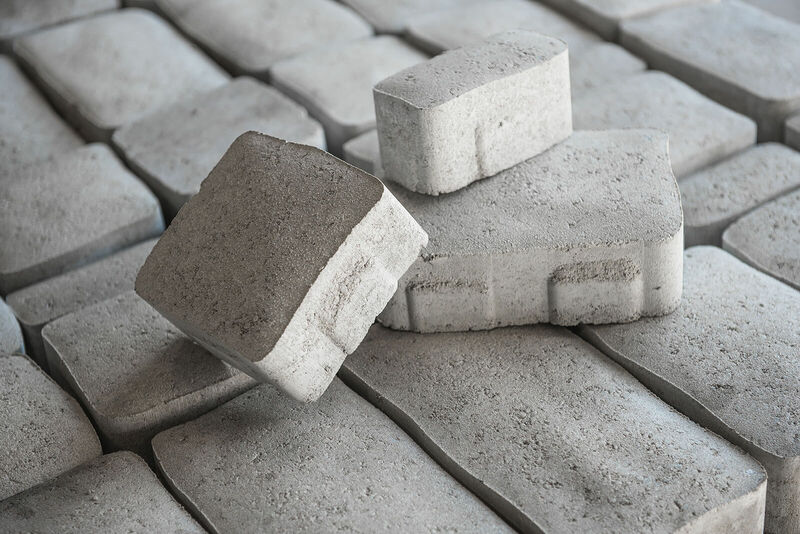 Londana – The Londana stone is the perfect medium between traditional and modern! It has long, thin pieces with a strong and unique texture. The contemporary Londana stone in the VIP color Ocean. Lotis: The Lotis brick is the most popular of our brick collection. Its texture resembles that of the Lorado stone mentioned above. It is beautiful used alone or on the four sides of a home as well. 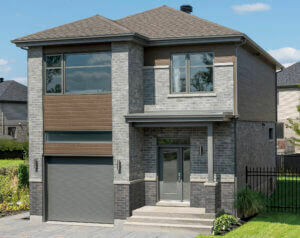 A beautiful example of a home with the Lotis brick in the charcoal color, used on all 4 sides. The Lotis brick as the stone siding on a modern home. Romania : The Romania brick is your traditional brick siding, with a smooth finish, available in a wide variety of colors. Use this product on the front or sides of the house. It’s the perfect product for a smaller home. WHY NOT MIX STONE SIDING WITH BRICK? Finally, are you having trouble deciding? You like the look of both brick and stone? No problem! Rinox offers many options, since our collections of brick and stones match perfectly in terms of colors and textures. Due to the fact that brick is a more economical product than stone, this option will reduce the cost of the project. It will however, maintain the sophisticated appearance of your home. There are two different ways to mix stone and brick on a home. One way it is to mix stone and brick on the front of the home, as a design feature. The design feature often creates a unique home, different from your neighbors! In contrast, the other option is to have stone siding on the front of the home, and brick on the three sides. Save on your entire project with the second option, since stone, a slightly more expensive option, is only used on the face of the home. Looking for a beautiful product for the best price? 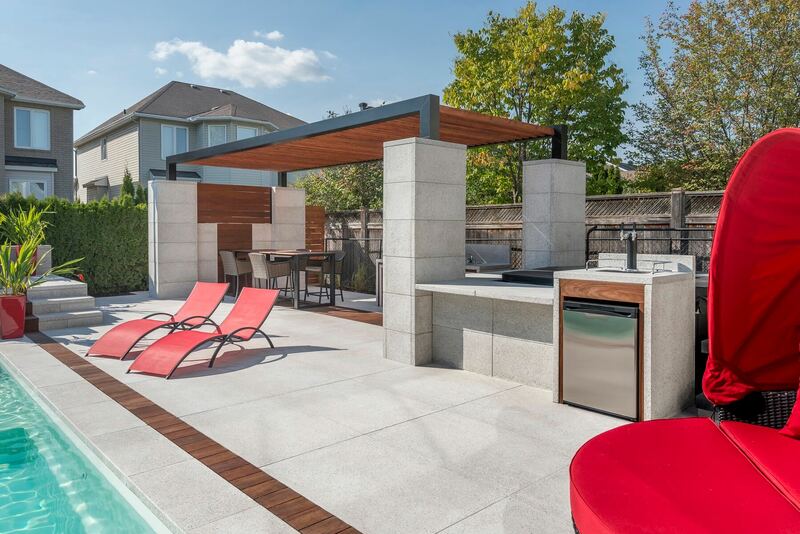 Use our best selling masonry product, the Lotis/Lotis Grande stone. It is a mix of brick and stone, however it is purchased as one product only. 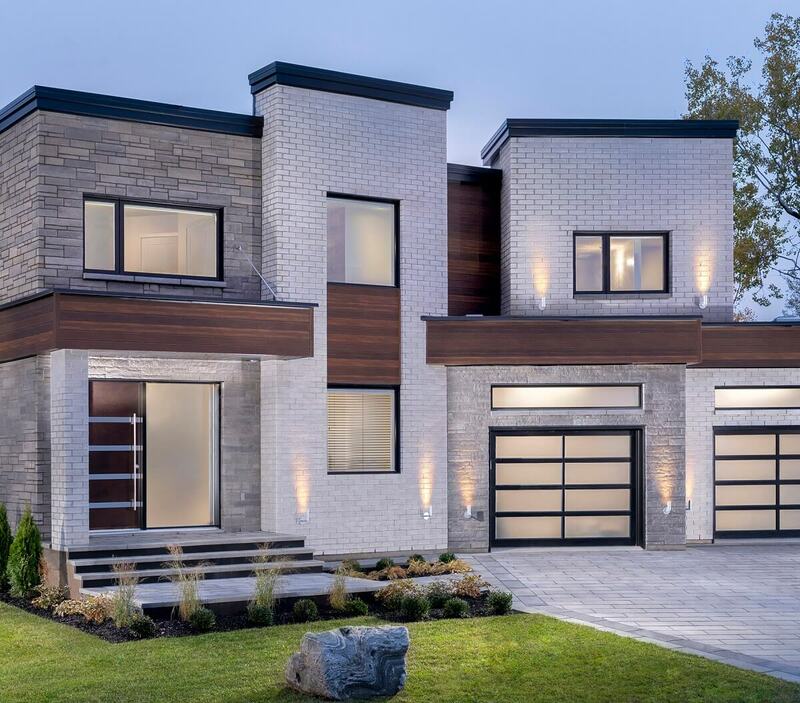 As a result, it has the price of a majority brick home but has the final look of a prestigious home with stone. 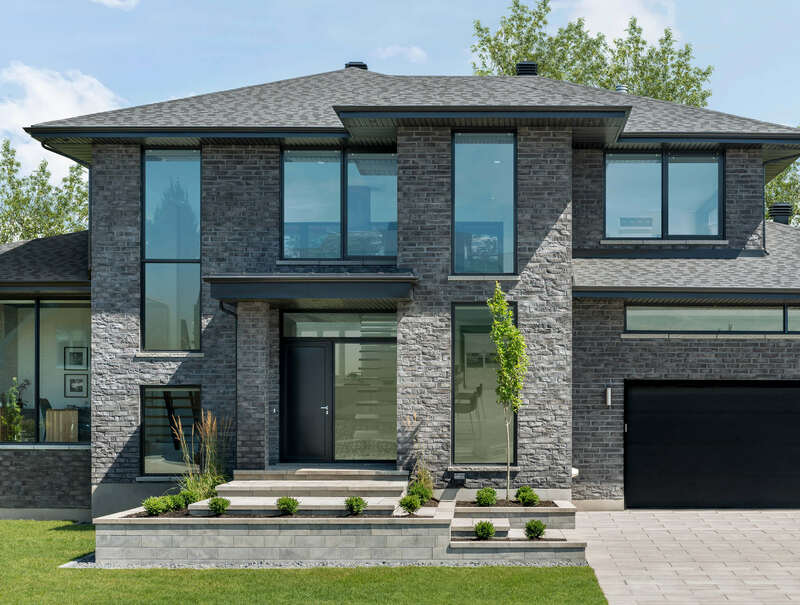 Remember to choose the right material that fits within your budget, respect the look and feel of the neighborhood, and be sure to choose a stone/brick style that matches the architecture of your project. All in all, be confident in your stone siding choice because there is no wrong choice. Most importantly, choose the product that you love, it is your home after all! For additional inspiration, visit our masonry collection.